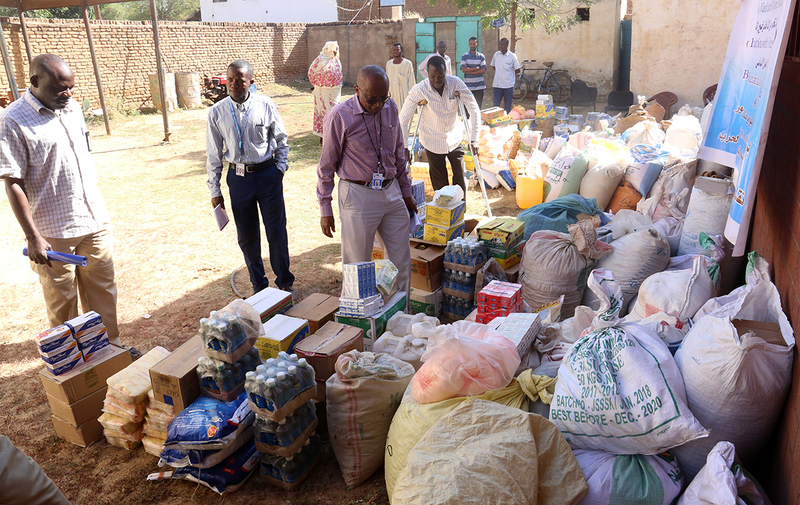 On 28 November 2018, UNAMID’s Ordinance and Disposal Office (ODO) handed over food and various commodities to victims of Explosive Remnants of War (ERW) in Zalingei, Central Darfur. The initiative is part of the Mission’s support to help families of ERW victims to engage in livelihoods activities. Photo by Mohammed Idriss, UNAMID.